You Me At Six always bring a big crowd and that was no different when they headlined Eatons Hill with Tonight Alive. The under 18’s made themselves very known from the balcony while the over 18 crowd on the floor were pretty chilled but still getting into the festivities. Support act Call The Shots have a big pre-teen following in Brisbane but the 18+ crowd were not feeling them. Their pretentious punk pop sound felt recycled with common lyrical elements making their music nothing unique. Lead singer Josh Setherfield has a great stage presence and held the messy set together. Tonight Alive have started to make a name for themselves overseas but it was finally time for them to return home and do a victory lap. The crowd gave them a massive welcoming as they took the stage and launched straight into “The Edge”. Majority of the setlist came from their new album “The Other Side” with only four old songs included. Lead singer Jenna stripped it back with an acoustic performance of “Amelia” followed by my favourite “The Other Side”. Her vocals are strong and could hold notes that a lot of female punk/pop vocalists would struggle with. Other set highlights included “Lonely Girl”, “Bathwater” and “Listening”. Their energy was electric and had the whole crowd eating out of their palms. I would have loved to have heard more old material but they still delivered a solid and entertaining hour set. This was my Seventh time seeing You Me At Six live and it just wasn’t anything different to what I’ve seen before. The setlist was very similar to their support slot on the Paramore tour with a couple of new songs added. What they needed to do was restructure their live show completely, include an acoustic set and maybe some gimmicks to change it up. This was after all their biggest headline shows in Australia to date and the show didn’t feel any different to their 2011 headline tour at the Tivoli, or their 2012 Soundwave set or their 2014 Paramore Support set. Apart from that they did deliver a tight live show with great audience interaction and strong vocals. 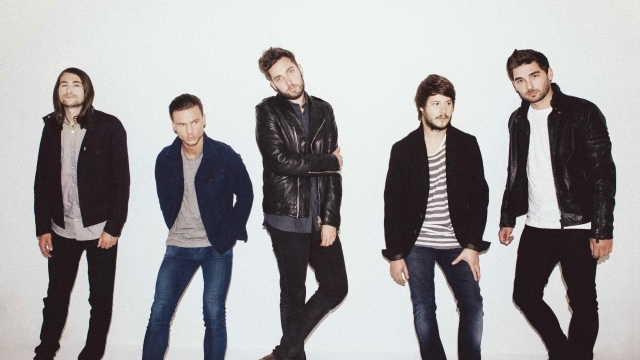 Lead singer Josh Franceschi recently rolled his ankle so the injury did slightly tame his onstage shenanigans. Set highlights included “Reckless”, “Little Death”, “Stay With Me” and “Too Young To Feel This Old”. For fans seeing them for the first time they impressed but for long term fans you couldn’t help but want a little more from the hour set.